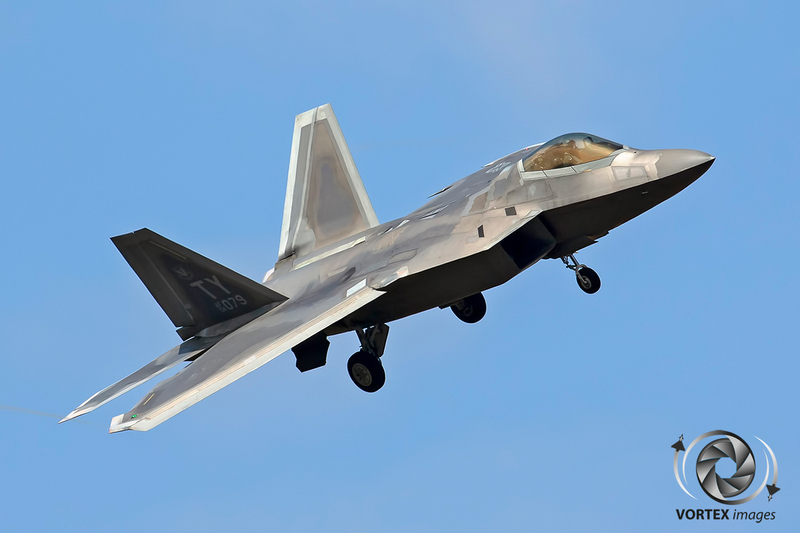 Spangdahlem Air Force Base situated in the Eifel and the 52nd Fighter Wing played host to a detachment of 13 F-22 Raptors and 300 personel belonging to the 95th Fighter Squadron otherwise known as the “Boneheads”. The 95th Fighter Squadron is normally based at Tyndall Air Force Base in Florida. The detachment was led by Lt Col Joshua M. Biederman. The 95th Fighter Squadron has a long history of flying fighter aircraft dating back to the Second World War when they flew the P-38 Lightning in support of the Allied invasions on North Africa and Europe. At the end of World War Two the 95th tallied up more than 400 total victories, including 199 air-to-air kills and honored seven aces. The 95th Fighter Squadron was awarded three Distinguished Unit Citations for various actions during World War Two. After the war in Europe the 95th was assigned to the Alaskan Air Command where they transitioned to the P-51 Mustang. The 95th Fighter Squadron entered the jet age when they converted from the P-51 Mustang to the Lockheed F-94B Starfire. After the F-94 the 95th Fighter Squadron was equipped with the F-86D, F-86L, F-102 and F-106. In 1959 they were assigned to the defense of Washington DC and the National Capitol Region. The 95th was ready to counter any threat on the Capitol at any moment’s notice armed with conventional or nuclear armament. In August 1974 the 95th was reassigned to Tyndall and was re-designated as the 95th Fighter Interceptor Training Squadron and got their F-106’s replaced by the T-33 Thunderbird. It was not until 1980 when the last of the T-33 were swapped for the F-15 eagle again predesignating the Squadron into the 95th Tactical Fighter Training Squadron. 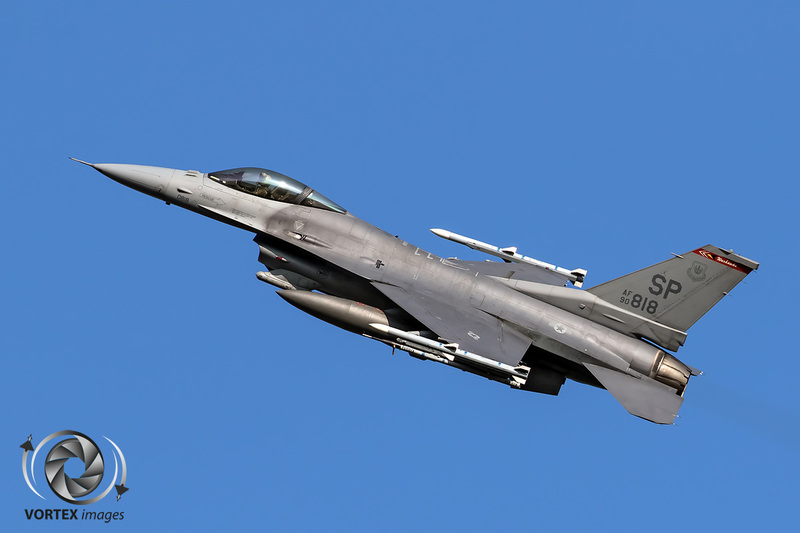 The final redesignation occurred in 1991 when the unit became the 95th fighter squadron. The unit kept this designation until their F-15A’s en B’s were retired and the unit was deactivated in 2010. 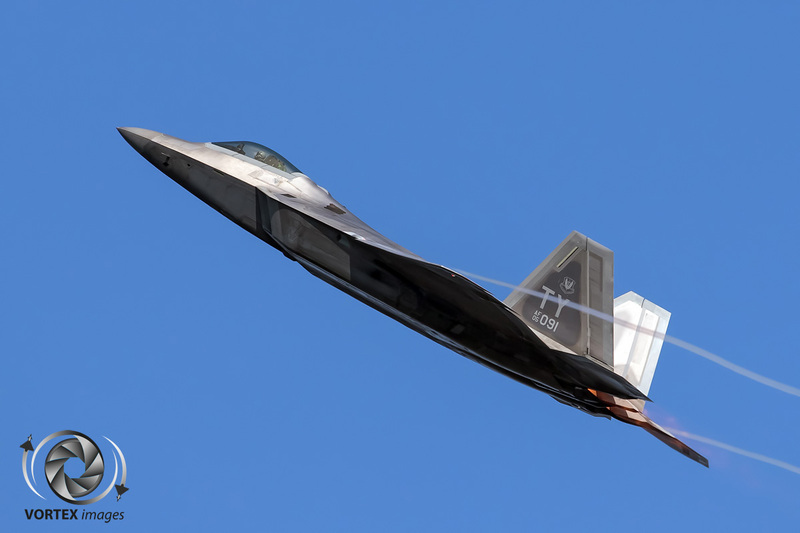 The 95th Fighter squadron was reactivated in October 2013 as a F-22 Raptor unit. 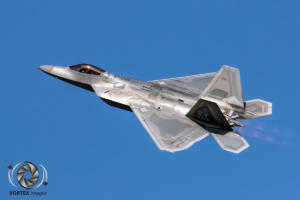 They reached initial operational capability in April 2014 and became a fully combat capable active duty Fighter Squadron. The goal of this deployment of U.S. Air Force F-22s to the European theater is part of a Flying Training Deployment (FTD). 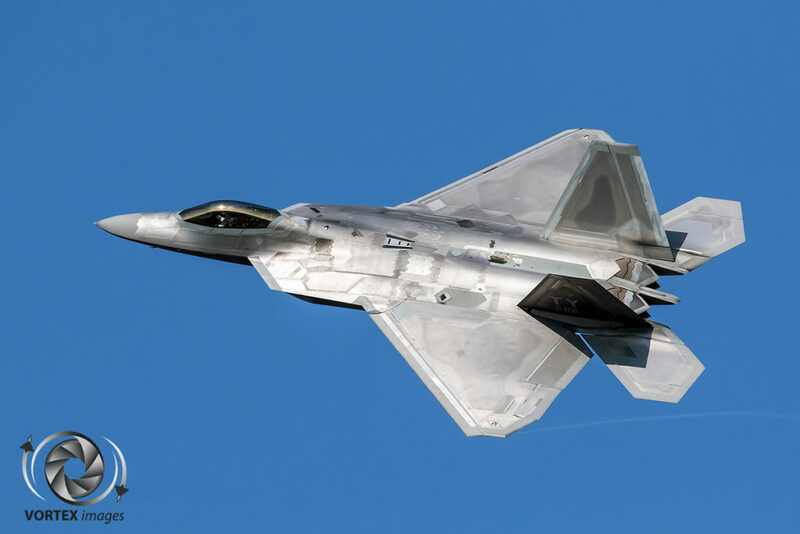 The F-22 FTD’s efforts include air training with other Europe-based aircraft and out-and-backs to multiple countries in Europe for interoperability training with NATO allies. As there are no 5th generation operational aircraft stationed in Europe this was a good opportunity for the NATO allies to train with and against the F-22. 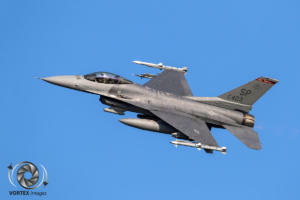 Most of the missions were flown out of Spangdahlem Air Force Base with the opposing forces flying from their home bases. 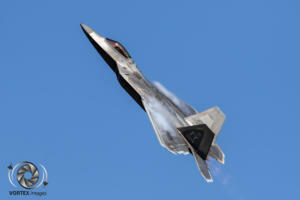 These include French Mirage 2000’s, Dutch F-16’s and German Eurofighters. These training sorties flown against these European allies were 1v1, 2v1 or 2v2 engagements. As General Tod D. Wolters, the USAFE/AFAFRICA Commander, told us: The old doctrine “train as you fight and fight as you train” was used to make sure that the USAF and its NATO allies are ready for any challenge that they may encounter in the years to come. The need for 5th and 4th generation fighters to train together and learn from each other’s capabilities is very valuable when the need arises. Some of the missions were small one day visits to different bases across Europe. They would fly out in the morning and would return in the early evening. These visits were supported by Boeing KC-135 Stratotankers of the 100th Air Refueling Wing stationed at Mildenhall Air Base in the United Kingdom. Training during these visits was against a wide range of different aircraft of various air forces. The 95th Fighter Squadron flew missions with and against the newly delivered Royal Norwegian Air Force Lockheed Martin F-35A Lightning II’s and Spanish Air Force Eurofighter Typhoons. 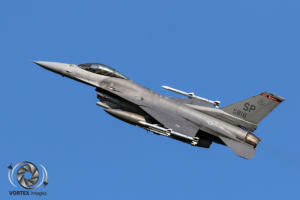 In addition trips were made to Greece, Romania and Poland to train with their Lockheed Martin F-16’s Fighting Falcons. These mini deployments and the missions flown from Spangdahlem provided to be a very valuable training for both the United States Air Force and NATO. In the future there will be more deployment in Europe to make sure that all the NATO members are trained to the fullest so that the European air space is guarded 24/7.